Most institutions formed by governments for the public safety can intervene only after a criminal action takes place. On the contrary, the purpose of locksmith service is not only to assist people after a burglary, but mainly to urge them to take preventive actions that will improve the defense of their house and make intrusion even harder. The residents of Escondido and many other cities in California are constantly preoccupied about crime since, in spite the efforts of local authorities, the rates are still high and most crimes are related with home invasions. It would be nice to have a police officer outside every single house, but since this belongs to the field of science fiction people must take action themselves. They must make sure every single entry point of their home have good locks and closes properly, so that intruders won’t have an easy access through them. Locksmith Services Escondido take part in this effort since its experience and well qualified technicians can contribute with their consultation and the right technical work required. Our company can provide locksmith services in both commercial and residential places, install all types of locks from the simplest mechanical ones to the most complicated systems. What’s important is to cover your needs without exaggerating and without providing you less than what you need. There is no point to get the most expensive high tech systems in a small studio that you are renting downtown for weekends or to relax in between jobs because there are cheaper methods to make this place safe. On the other hand, we wouldn’t suggest old mechanical locks in a huge mansion with many windows and entrances because they will mean nothing for your security. For this reason, our locksmiths who know well the secrets of lock repair service will first inspect your home before they present you with your options in order to choose the one that matches your needs, budget and lifestyle. This is a rather difficult procedure because it includes the good examination of the entire house since there is no point of securing only the front door. A big part of our everyday duties at Locksmith Services Escondido is associated with emergency incidents because there are many people who are locked daily out of their homes, drivers who forget their keys within their vehicles and businessmen that cannot open their trunk to take their briefcase out. 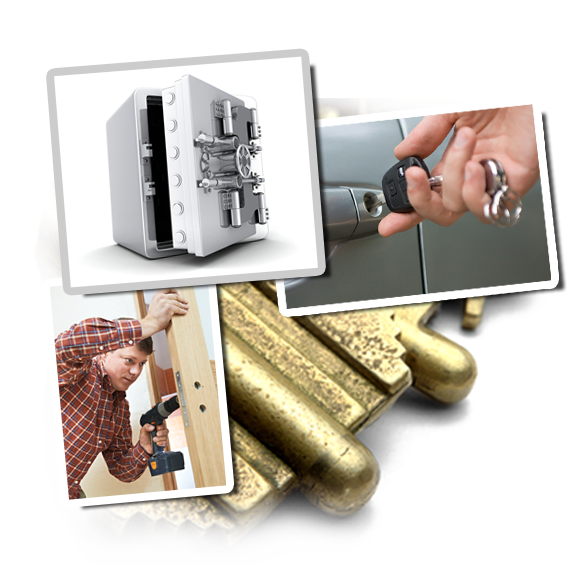 Our emergency locksmith service is characterized and distinguished by its high speed and competent repairs. Our assistance usually lasts a few minutes, so you need to call us as soon as you realize you have a problem in order to get back to your usual business as if nothing happened shortly. you must remember to call our service immediately after calling the police because we must proceed with lock change service right away. These unfortunate incidents might open your mind to improve the security of your premises because the installation of high tech electronic systems will make your home more resistant to such attempts and burglaries. You must always keep in mind that the local authorities, which are responsible for your well-being, like the police, the fire department and our 24 hour locksmith service, never sleep because we need to watch out for your safety like a hawk.